So we can help you in promoting your product and services to potential customers via sending Text messages along with multimedia files. It has helped business in the long run and keep your customers & clients happy. Send Promotional SMS on Non-DND Numbers. You can even include audio, video and images in your messages & even track their statistics. Use Transactional SMS to send your text alert or SMS notifications to DND & Non-DND Mobile Numbers, Our Service is available in all regions of India with fastest Delivery. Schedule & Instantly Send Real-Time SMS Alert notification to notify your customer, guests, students, employees and more. Voice Call enables you to communicate with your customers by calling their Mobile numbers all over India with a pre-recorded voice message through a fully automated Online System. Use WhatsApp to power your marketing campaign and target your right audience & maintain your global presence. SEO Backed Web Design. Website Architecture. An easy to navigate, logical page structure that helps your users, and the search engines to find what they are looking for. Search engine optimization (SEO) is the practice of increasing the quantity and quality of traffic on your website through organic search engine visibility. Handling your Social Media Presence so that your business is always connected to your audience and help them know about your latest whereabouts. SMS API Integration for Mobile Application & Web Developers helps to integrate automated Text Alert Services through Get Method, Post Method SMS API Integration. Nowadays Bulk SMS Service or Bulk SMS Gateway is highly reliable and cost effective medium to promote all kind businesses. Like online election campaign in your Lok Sabha, Vidhan Sabha, targeted locations in India because of their fast delivery on all mobile numbers. Mobonair Wireless Pvt. Ltd. have multiple telecom SMS Gateway routes of Airtel, Vodafone, Idea, JIO, MTNL, BSNL through which we assure 100% faster delivery rate anywhere in india. Our first priority is to provide you best service and after sales service. ✓ 90% of Text Messages are read within 3 minutes of receiving. It’s no wonder businesses from different sectors and categories are prefer SMS marketing nowadays, the reason behind is It’s fast, convenient, and a lot more cost effective. 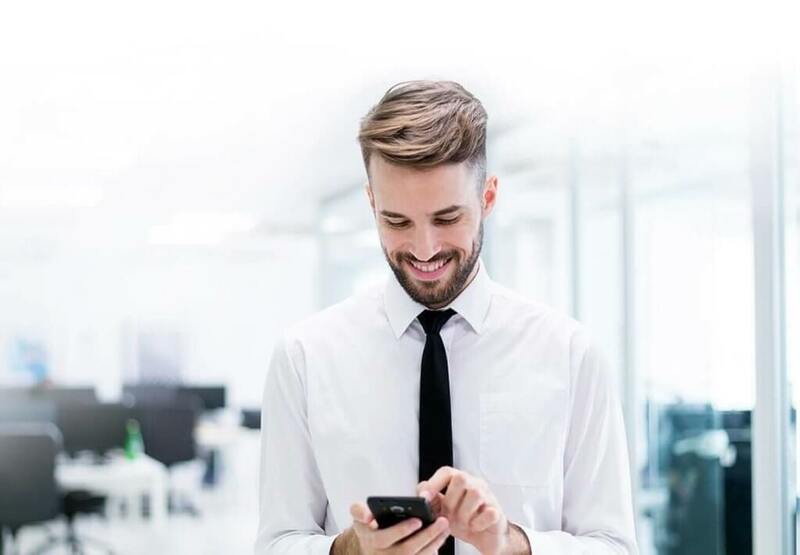 Whether you need to send a single message or thousands, you’ll enjoy greater economies of scale from buying text messages in bulk. And better results too, with more engagement, more conversions, and more ROI. Mobonair Wireless Offers Complete Online Marketing Tool Which Advertise Your Product & Services or Campaigning Of Election Within Your Targeted Region, Pincode, Locations in All Over India. We Offer Affordable and Authentic services to our partners through which they can serve with quality services to their customers. We provide Bulk SMS Service at reasonable prices. Over the years the company has consolidated its presence in the online advertising segment and have been to provide world class inspection and repairs to its customers. Send Message to any Network Operator. Instant Delivery and Online Reports. 1 – 160 character = One SMS Credit. 161 – 306 characters = Two SMS Credits. 307 – 459 character = Three SMS Credits. 1 – 70 character = 1 SMS Credit. 71 – 134 characters = 2 SMS Credits. 135 – 201 character = 3 SMS Credits. What Makes Mobonair Unique ? 99 % Server up time. Unlimited validity for Bulk Message. Excel Plugin for Processing Faster. No Setup Fee, No Hidden Cost, No Monthly Rent. Advance SMS API to integrate With HTTP Methods. Real time Message delivery Report. To Send Group SMS . Use Web SMS by importing from Excel. 100% delivery for active mobile numbers. No Documents Required for Activation. WriteText SMS in Tamil, English, Hindi and Regional Languages. Track Your SMS Delivery Report. In Our Reseller Program, We offer our Resellers a MASTER Reseller Account with his own Website which he can BRAND in his own Name and Create Customers, & Resellers under his Master Reseller Account. This way he will be Branding his own SMS gateway and promote SMS services to his Area of clients & Sub-Resellers. The reseller can extend their existing commercial relationships with clients to include the ability to send out bulk messages with images . You can start your own branded SMS reseller website with our web server connectivity. what are the benefits of bulk sms ? You can make advance payment through a variety of methods and the amount will be credited to your account. When SMS messages are sent your account is debited according to the rate per SMS. When your balance is low we send you alerts so that you can recharge. Grow your product and services and expand your reach to your potential clients.